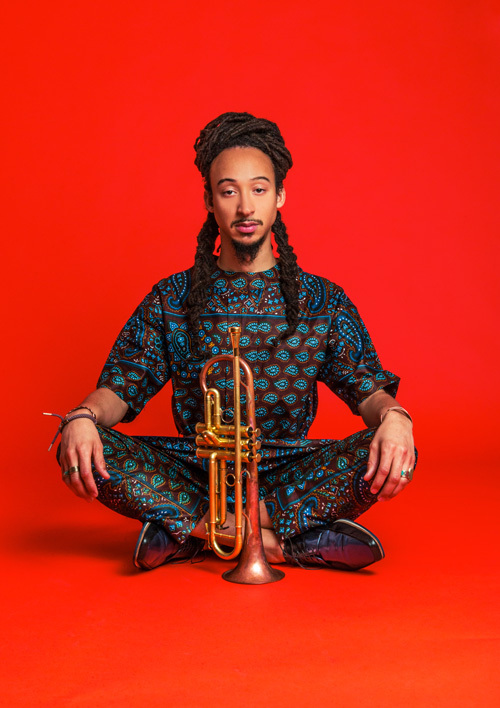 Trumpeter, composer, and arranger Theo Croker is an adventurous musician whose adept skills find him at home whether playing standards, swinging post-bop, or more groove-oriented electric jazz. A native of Leesburg, Florida, Croker is the grandson of the late great jazz trumpeter Doc Cheatham. He began playing trumpet around age 11 after hearing Cheatham play in New York City, and by his teens was studying music at the Douglas Anderson School of the Arts in Jacksonville, Florida. From 2003 to 2007, Croker attended the music conservatory at Oberlin College. During this time he earned the Presser Music Foundation Award, which funded his debut album, 2006’s Fundamentals. After graduating Oberlin, Croker relocated to China, where he took up residency at Shanghai’s House of Blues. In 2009 he released his sophomore album, In the Tradition, which paid tribute to Cheatham. Croker returned to the States in 2013 and in 2014 he released his third solo album, the Dee Dee Bridgewater-produced Afro Physicist, on OKeh Records.